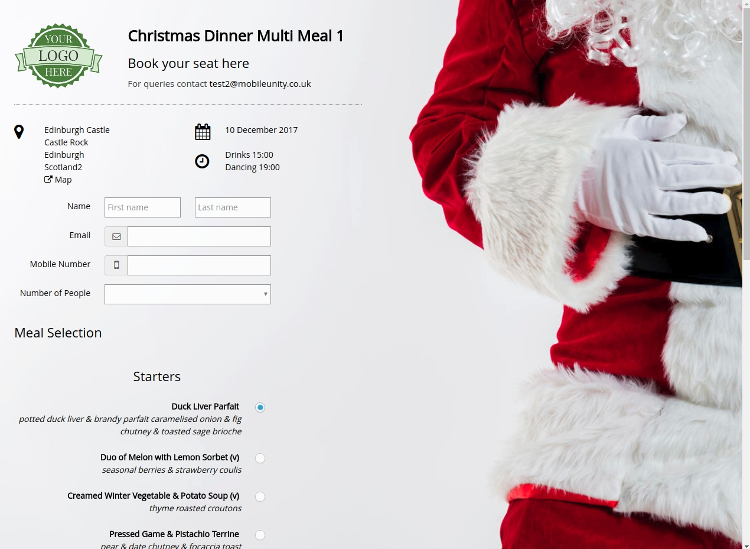 Organise a hassle free Christmas this year for your organisation with our Christmas booking templates. 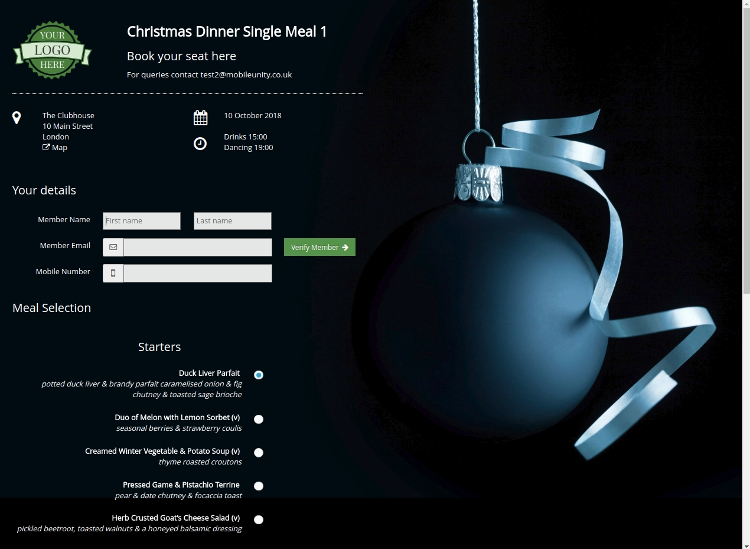 Fully setup your page to take Christmas bookings by credit or debit card in only 5 minutes. No signup costs or monthly charges - only pay a transaction fee on card payments. 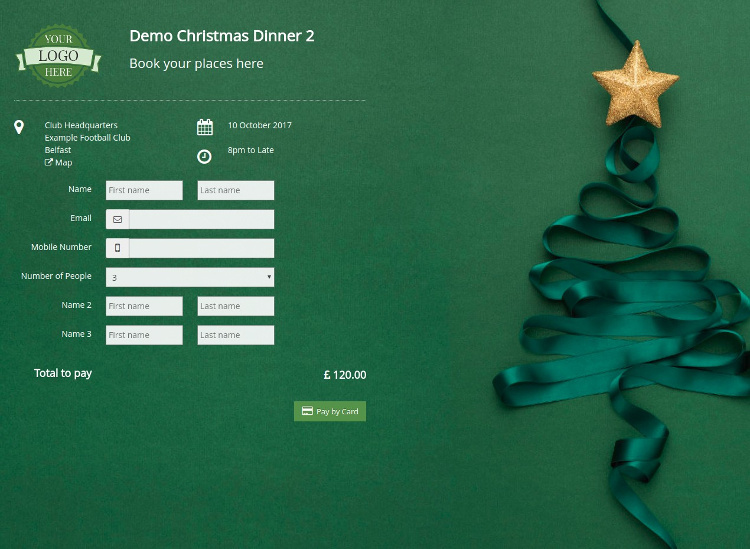 These templates are ideal for Christmas Dinners and parties where you need to take bookings ahead of time. We can offer customisations to these templates if required, please contact us if your needs are different from the supplied templates. 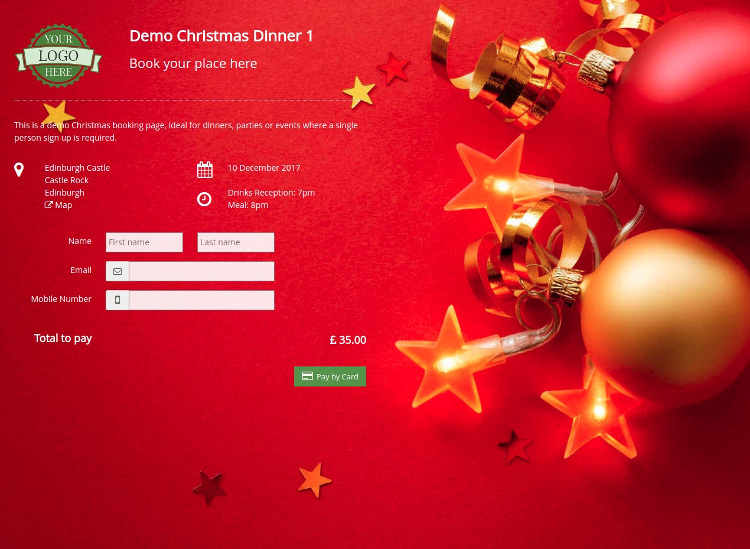 Here are some samples we have put together, click through for a full demo page.